Cleveland’s offense was unpredictable, imaginative and wide-open under Kitchens last season. 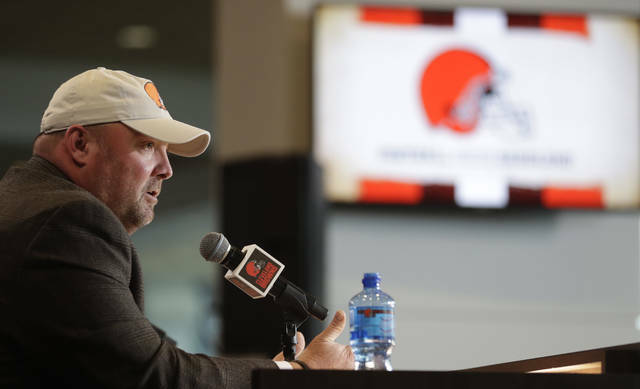 Although he had little experience as a play-caller, Kitchens proved to be adept at reading defenses and designing plays during eight games as the team’s interim coordinator in 2018. Monken, who guided the NFL’s top-ranked passing attack last season, called plays for the Buccaneers but agreed to surrender that role to work with Kitchens. The 49-year-old Wilks was recently fired after going 3-13 in one season with the Cardinals. But he’s got a deep defensive background, spending 12 years as a secondary coach before becoming Carolina’s coordinator in 2017. Mike Priefer will coach Cleveland’s special teams after eight years with Minnesota. 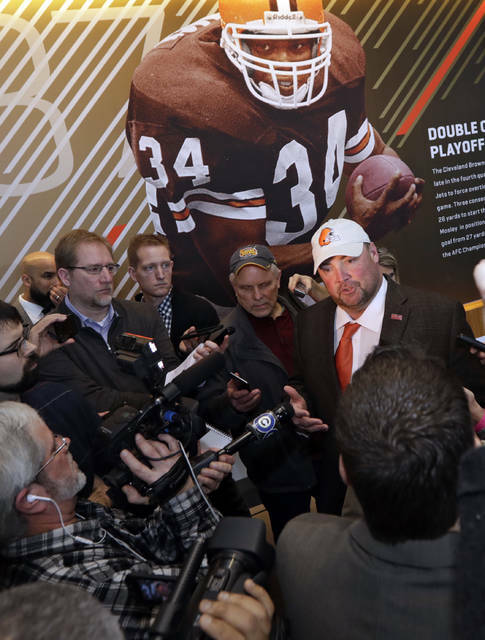 CLEVELAND (AP) — The Browns didn’t have to go far to find their new coach. As of late Wednesday night (Jan. 9), the Browns still had not officially announced Kitchens as their coach. However, there are no obstacles blocking his hiring and he’s expected to be introduced at a press conference on Thursday, Jan. 10. 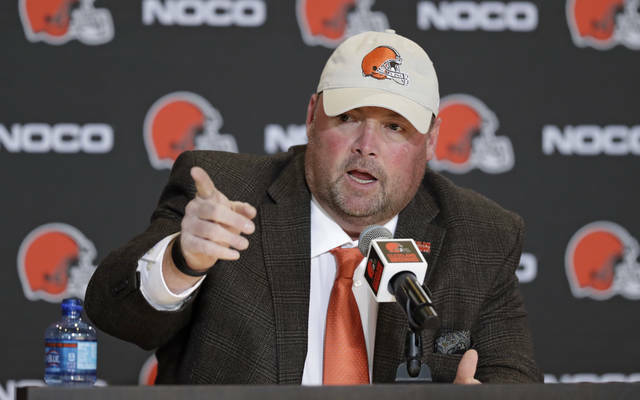 CLEVELAND (AP) — New Browns coach Freddie Kitchens has hired Todd Monken as offensive coordinator and Steve Wilks to run his defense. Monken spent the past three years with Tampa Bay. The Buccaneers ranked first in passing yardage per game (320.3) and were 12th in points. Monken called plays, but Kitchens is expected to keep that duty following his eight-game run as Cleveland’s offensive coordinator. Wilks was recently fired after going 3-13 in one season as Arizona’s coach. He has a deep defensive background, spending 12 years as a secondary coach before becoming Carolina’s coordinator in 2017. Also, Kitchens added Stump Mitchell (running backs), James Campen (offensive line), Ryan Lindley (quarterbacks), Jody Wright (special assistant) and Jim Dray and Tyler Tettleton (offensive quality control) to his staff.